San Gorgonio Memorial Hospital’s (SGMH) mission is “To provide safe, high quality, personalized healthcare services.” These are not just words on a piece of paper, but rather a guiding principle that guides us in the decisions we make to improve the quality of health in our community. 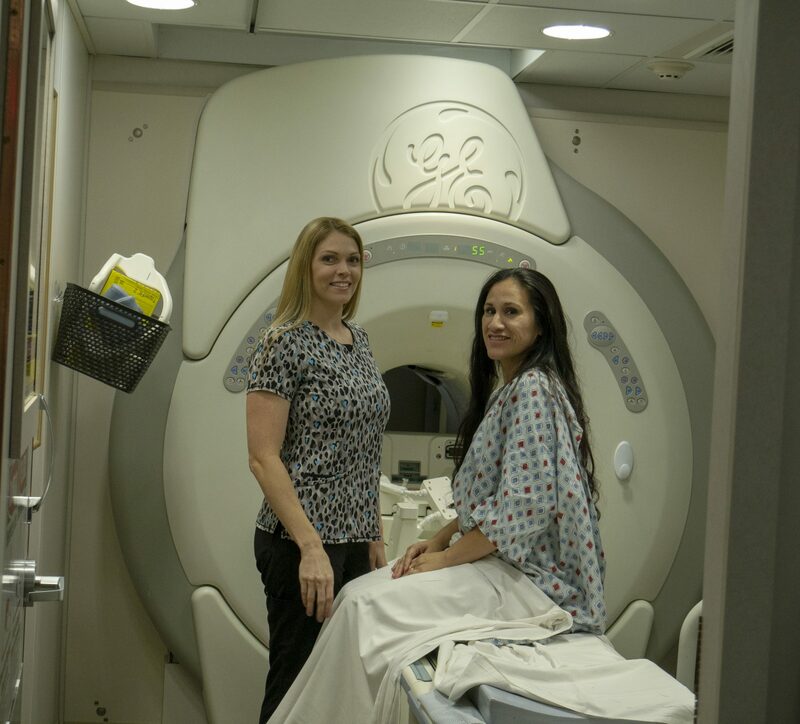 Open for patients on May 28, SGMH is now proud to offer Magnetic Resonance Imaging, or MRI, as a new service that will help us in our mission. If you’ve driven by the Women’s Center entrance lately at the hospital, you would have seen a trailer parked in front that houses the new GE 1.5 Tesla Unit. It houses one patient bay with room for the healthcare professionals to help monitor and guide the patient in the process. SGMH already utilizes a 64 slice CT scanner for CAT scans, which uses radiation for imaging. 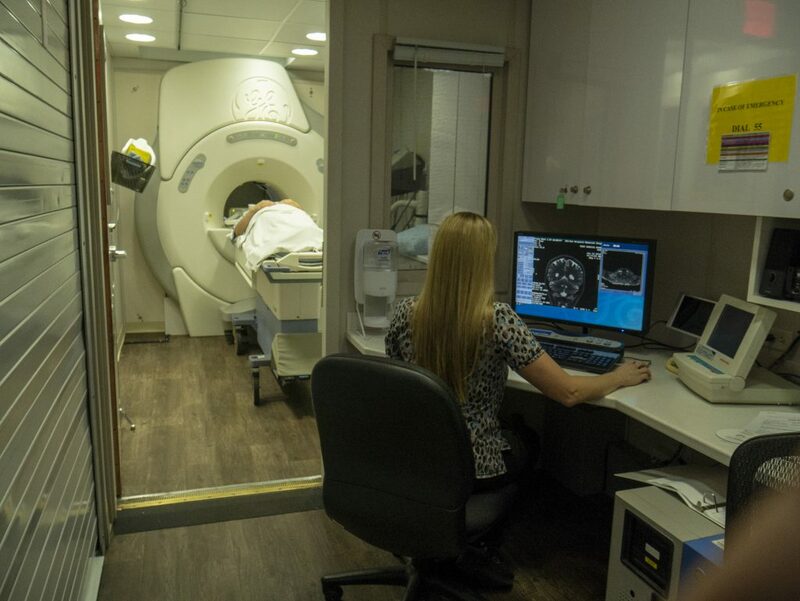 Conversely, MRI scans use magnetic fields and radio waves to produce clearer images that help healthcare professionals more easily determine the difference between normal and abnormal tissue. It is often a useful tool for diagnosing trauma to the brain, multiple sclerosis, tumors, infections and orthopedic injuries. Previously, outpatients would have to go elsewhere if their physician ordered an MRI scan, now with the unit being on campus, they can get the scan done onsite. The MRI unit is currently being offered on an outpatient basis Monday through Friday, from 9 am to 5 pm, with expanding hours and services coming in the near future. 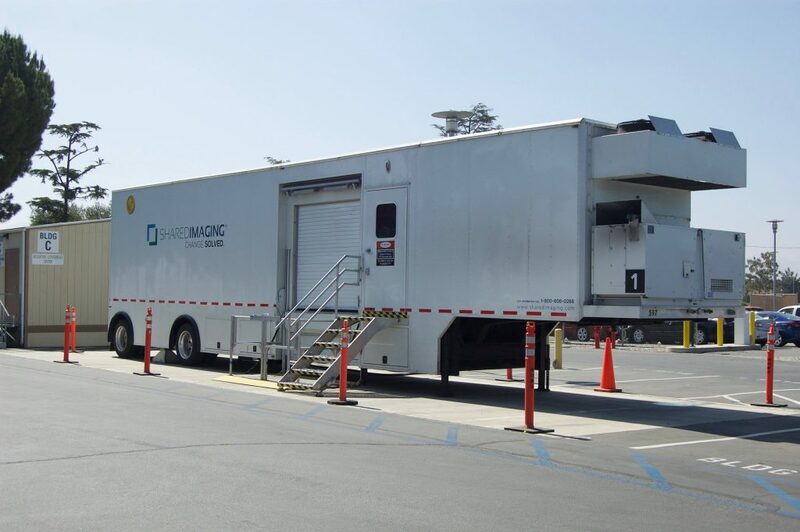 SGMH is pleased to be able to provide MRI services to our community in our mission to provide high-quality services.